Today I went to B & N with my mom today and I found something interesting, though it’s something that’s been happing…ever since the NOOK came out. “Hi, would you like me to give you a demonstration of the Nook today,” asks this skinny man, right as I enter the store. It’s almost as if he’s begging me to by his product at the BOOK store, not the NOOK store. I tell him I already have one, but that’s a lie. The truth is, I don’t even want one, and if I were to tell him that, I’m afraid that his eyes would literally pop out of his shocked face and say, “But you don’t want a Nook? It’s new technology!” with a gasp, as he raises his hand over his mouth! The way I see it is that book stores, wonderful highly recognized book stores, are being contradictory — they want to sell books, but they are pushing the NOOK on us, right as we enter the store. It’s almost as if they are telling us, “Don’t look at those things on the shelf, they’re old and no good.” On another note, I’ve heard from several people that they can’t get some books on the Nook/Kindle/eReaders. Well, see, isn’t it good that we sill have a book store to go to?! What do you, the reader, the book lover, the NOOK lover or hater, think about this? I have mixed feelings. I think they would be good for magazine subscriptions, etc, and saving trees, but I have to agree with you about them putting book stores out of business. With e-books, a lot of people are saying that books will be soon obsolite. I’d like to think it will not happen in my generation, as I love the smell and feel of books. Going to the book store is a treat and a place I spend hours. I have a friend who shops at Barnes & Noble for all her books. She found out my book was published and told me to let her know when B&N had it. I explained she’d have to go to the store and ask them to special order it. 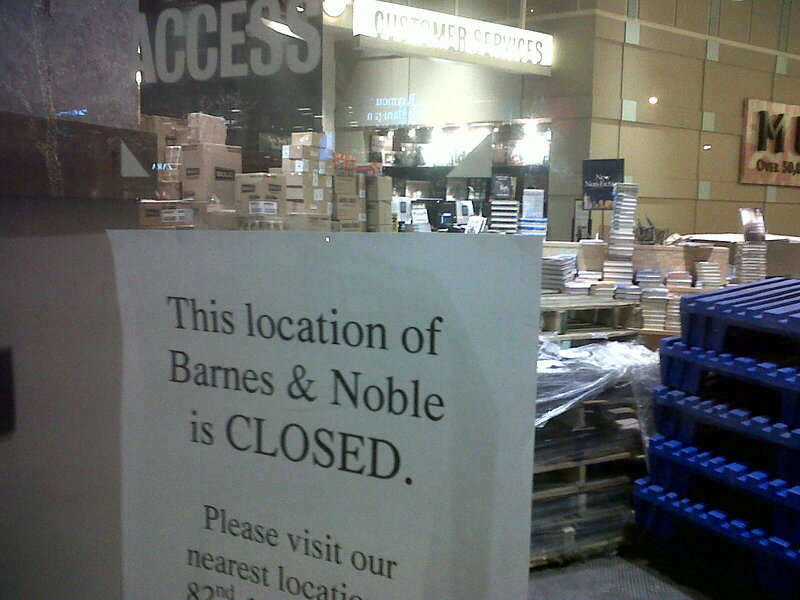 Actually, Barnes & Noble is still in business because of the Nook. Borders is collapsing because it failed to carry or create an eReader that could compare. In that sense I’m thankful for this little wave of technology because it saved my favorite store! I don’t think books will become obsolete any time soon as there are plenty of traditionalists (like me) who prefer a real book over anything digital. Having said that I do own a Kindle. Some books just aren’t available without special order, but they are digitally. And its easier carrying a kindle than it is a stack of books when I travel! B&N has no other choice but to get in on the bandwagon. If they hadn’t developed the Nook, they would have fallen by the wayside even faster. The public would think they were behind the times. I’d say B&N probably makes more sales from their website now, than they do from their stores. Books have never been a lucrative business anyway. This is why B&N started selling all the extra crap they market. I learned this years ago when I was considering the idea of opening a shop that had books. B&N ALSO sells ebooks on their website that go into their Nooks. What is funny to me is that the way you see books on TV in these contraptions, is probably not as nice as they actually look on the readers. Since I have 2 ebook novels and 2 short stories available on B&N ebooks, I know I have to have my ebook formatted to fit ANY type of contraption it will go into . From a cell phone to a NOOK to a Kindle to a Sony device, etc… As we know with computers, websites do not look the same on every PC. However, PC screens are generally the same size and can be scrunched down for a IPAD, just like you could with smaller TV sets. But ebooks are different. It is not set up like a website or TV show. However, the way I formatted my book, I could tell it would be different on each contraption. I just formatted my book for paperback and by doing so found that there were all these paragraphs that jumped pages instead of wrapping. I have had to spend so much time on it. This is for one format only – paperback. So I am sure the way I formatted it for ebooks, it definitely won’t look the same on every single reader. But I daresay ebooks are here to stay just as computers are. They will eventually make them better, writers will be forced to make versions for each device and those of us who love a “book,” will be passe. I actually felt the same way that you do a few months ago. I love books. I love the feel of them in my hands. I love the smell of them, I love collecting old editions of my favorites. I have several vintage books that I found at antique stores. 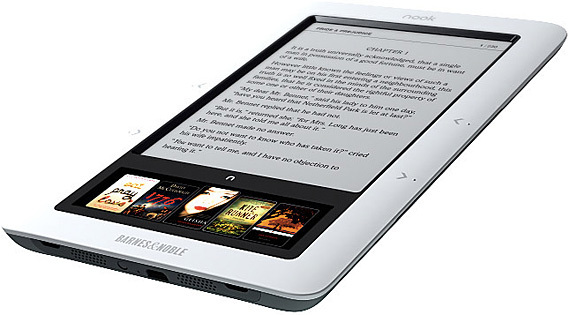 However, I was doing some research on the Nook vs. the Kindle and realized that I actually really wanted one. For a number of reasons, but at the time, mostly because I am a pack rat and really wanted to get my color magazines on the Nook. My boyfriend hates the clutter that my magazines bring to our tiny apartment and I hate throwing them out. I also hate not being able to fit one into my purse on my way to work. So, anyway, I got the Nook Color. I fell in love with it. 1, because of all the magazines. You can bookmark articles, save them, whatever. Also, as a budding author, I wanted to start reading some sci-fi, technology, and other magazines for research and inspiration. 2, there are a lot of great self published authors on the Nook (see: Amanda Hocking.) Books that I may not have read before, I was getting for less than $5. Some I loved, some I didn’t. The ones that I didn’t love, I didn’t have to feel guilty that I helped waste paper by purchasing the book only to want to throw it out or whatever. It only inspired me to pull out that novel I had been working on forever ago and finish it to self publish on Smashwords. 3, Its almost a tablet at this point. I can check my email, listen to music, play games (I have Angry Birds) on it. Its great because I live close enough to take the bus to work and I can do all this stuff on one device.